Want to be part of a study to find out? 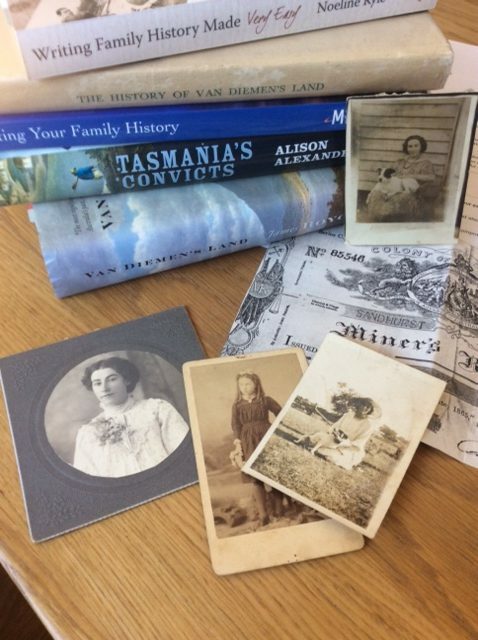 In a project entitled ‘Motives and profiles of family historians', social researchers Doreen Rosenthal (University of Melbourne) and Susan Moore (Swinburne University) are examining what drives amateur family historians. Their study will also explore the psychological processes of amateur genealogists as they chart their family trees. Is interest in this field associated with particular life experiences or family profiles? A recent email from a GSV Member captures something of the collaborative satisfaction that comes from the family history quest. Some months ago I read a member's query [in the GSV's journal Ancestor] and realised I could help. A member wanted information on a family from Central Victoria, an area where I have a small property. So we began to search the local Historical Society records, with much help from their President and volunteers. Soon information and photographs were found and with the GSV's assistance, we contacted the enquirer. Further searching took us to the local cemetery. On a sunny afternoon we photographed all the graves of interest and learned heaps more about this lovely country place and the forebears of the family whose property I now own. So this adventure had its own rich personal rewards too! All the information we gathered was passed on to the enquirer who was overjoyed and very grateful when we finally met face to face. I want to thank the GSV staff and express our pleasure in helping someone find a "lost" family. This was just our way of returning help such as I had received when searching for my family in Ireland. I found a friend who came from the same town as my grandparents and who readily over several years found all my late father's family. It was a pleasure to think, "What goes around comes around". What insights and experiences have you had as a family historian? 'Family history has always been a popular pastime, whether it involves drawing up complicated family trees or recording stories from the past. In recent years, the availability of so many records online, and the possibility of finding DNA matches, has escalated this ‘hobby’ into a worldwide craze. One motivator for exploring family history, popularised by the ‘Who do you think you are?’ television programs, is the search for self-understanding – finding your identity through knowing more about where you come from. Genealogical studies can also assist in understanding your own family dynamics, and in a broader sense, the histories of ‘ordinary people’ (and thus nations) from times past. Some family historians see themselves as ‘kin keepers’- inspired by wanting to acknowledge their ancestors through passing on their stories to a new generation. Others are searching for a lost relative, or for clues about their medical history and biological risk factors. For some, the detective work of the research process becomes an end in itself, with genealogists often reporting elation and other strong emotions as they discover a new link or break down a ‘brick wall’. The survey is being conducted by social researchers Emeritus Professor Susan Moore smoore@swin.edu.au from Swinburne University and Emeritus Professor Doreen Rosenthal d.rosenthal@unimelb.edu.au from the University of Melbourne. You can contact them by email if you would like further information.